Are you looking to buy a Utah County Short Sale? Team Teasdale Realty has been selling Utah County Short Sales since 2000. We have helped hundreds of Utah County buyers locate and purchase a short sale. Buying a Short Sale in Utah County can be challenging. Make sure you understand the difference between an approved and a unapproved Utah County Short Sale. Go Directly to a Live Short Sale Search Now! When a short sale is first listed by a Realtor in Utah County an artificial price is posted to the home. I call it an artificial price because it has not been approved by the lender. The Realtor selects a price that they think will generate showings and offers. Once a home has received and accepted an offer the Realtor attempts to get the price approved by the lender. This is a very complex and lengthy process. In can become even more complicated when a home has several liens on it with various lenders. Each bank wants as much money as possible from the sale. This type of listing is called an unapproved Utah County Short Sale. Approximately 80% of the short sales in Utah County are considered unapproved short sales. These homes will sit anywhere from 3 to 24 months waiting for approval from the bank. Don't get too exicited about an unapproved short sale. It is common for the price to be declined and a higher price posted after waiting months for approval. Instead, focus on the approved short sales. An approved Utah County Short Sale is a completely different type of listing. An approved Utah County Short Sale is a listing where the home price has been approved by a bank. A short sale typically never starts with an approved short sale price. A buyer must first attempt to get the price approved. The listing Realtor is the one that works to get the price approved. Ken Bulpitt at Team Teasdale Realty works exclusively on getting all of our short sales approved. Our team has sold and closed hundreds of short sales in Utah County. We are very experienced in the short sale business. If a buyer gets tired of waiting for bank approval and cancels his offer, the buyers offer remains in line waiting for approval at the bank. If the price is finally approved the Realtor turns around and relists the home as an approved Utah County Short Sale. This home is posted active and available on the MLS as an approved short sale for anyone to buy. Approved short sales are about 20% of the inventory in Utah County. These are the best type of short sales to buy. Once a short sale is approved it may be ready to close within 30-60 days. A new name will need to be submitted to the bank for approval. Once the buyers new name has been approved and an approval letter has been received you can head to closing. This letter typically has a expiration date. It is possible to extend the expiration date but it is slightly risky. In some cases the bank will not extend the closing date. 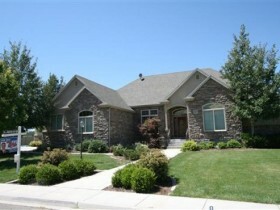 I have sold over 1,000 homes in Utah County in the last two decades. A portion of my business has been negotiating with banks on behalf of my buyer and seller clients. This can be very stressful. Banks typically don’t care about the individual; they only care about their precious spreadsheet. A short sale occurs when the bank has agreed to sell the home at a loss to avoid going into a costly and lengthy bank foreclosure. Many people advertise homes that are short sales. You should ask if the home is an approved or unapproved short sale. If the home is an unapproved short sale be careful. The home may never be approved or by the time it is approved, it could have ten offers. If you chose to make an offer on an unapproved short sale, don’t get your hopes up. You will most always be disappointed several long months later. You need to be able to discern the true and available bargains and jockey into a non-competing first position. We will teach you how to recognize a true available short sale and help you avoid the garbage.